The Mercedes-Benz G-Class is an extremely capable vehicle. Designed in the 1970s for military use, the “G-Wagen” is a legendary off-roader with plenty of street cred. Hummer is kaput, but the boxy G-Class soldiers on. Still, no one ever accused this SUV of being pretty, which is why German Special Customs (GSC) stepped in to make some improvements. 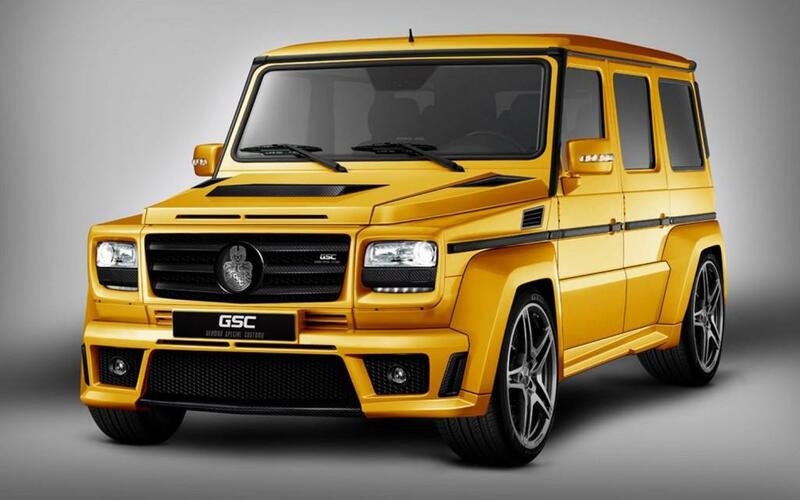 GSC’s GoldStorm body kit definitely makes the G-Class look different; whether it makes it look better is another story. At the front, GSC replaced the G-Class’ round headlights with rectangular ones, and replaced the Mercedes three-pointed star with a grille badge of its own. The hood and front bumper get a smattering of vents, as if this 5,700 pound SUV was a race car that needed to cool its brakes and engine. Wider fenders are usually a good idea for an off-roader, since they make room for bigger wheels and tires. On the GoldStorm, the fenders actually take up more room than the stock ones. They conceal part of the wheel well, which makes the car look lower. The rear of this modified G-Class got a similarly bizarre treatment. GSC replaced the stock rectangular taillights with round ones, just for the sake of being different. Like the front bumper, the rear gets some superfluous vents. 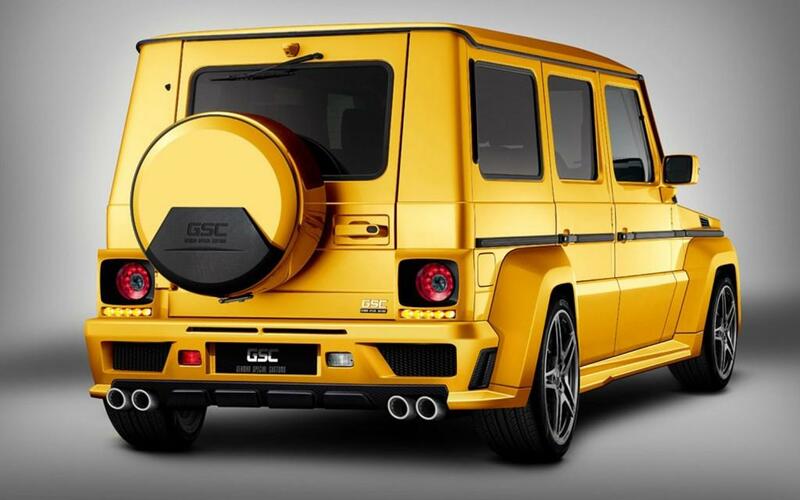 At least the quad exhausts give the GoldStorm G-Class a little attitude. GSC may have overshadowed its handiwork with the Goldstorm’s golden paint. A stock gold-painted G-Class would probably get just as much attention as one equipped with the body kit. It would certainly make Goldfinger think about trading in his Rolls-Royce. The ostentatious paint is necessary, because this G-Class is all about show. GSC did not mention any modifications to the interior, or any mechanical modifications. The rear-exiting exhaust indicates that the GoldStorm is based on a G550, which has a 5.5-liter V8 with 382 horsepower and 391 pound-feet of torque. That’s a decent amount of power, but other tuners would probably want more. One of those tuners is Mercedes’ own AMG. The company’s in-house performance shop offers two souped-up G-Wagens: the G63 AMG, which has a 5.5-liter twin-turbocharged V8 (544 hp and 560 lb-ft), and the G65 AMG, equipped with a 6.0-liter twin-turbo V12 (612 horsepower and 738 lb-ft). Both AMG models come with side-exit exhausts. Sadly, the V12-powered G65 is not sold in the United States. Tuners can always be counted on to do something outrageous, but “outrageous” and “good” are not synonyms. Focusing on style over substance is fine, but the end product has to actually be stylish. The GoldStorm is outmuscled by Mercedes’ own AMG models, and it has not made the G-Class any prettier.